Tod Howarth, best known for his work with Ace Frehley’s Comet, will release his new solo album ‘Opposite Gods’ on Arpil 4th. 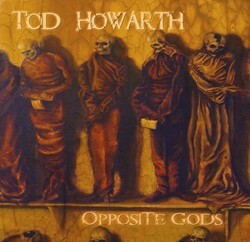 The CD is now available for pre-order at http://www.todhowarth.com/opposite_gods.htm. More information on Tod Howarth can be found at www.todhowarth.com and www.myspace.com/todhowarth.